I can’t recall the last time I made a New Year’s Resolution. Ages upon ages. All good words. All worthy. I was thinking in December about what our next year looks like and what all it holds for us and the biggest of news will be that come September we will be empty nesters. And I’m just not going to say anymore about that because it just doesn’t seem possible. But it does have a bearing on my word. I chose Home as my word of the year. I want to treasure these times and grasping the moments left with Chad at home and enjoy them. I’ve been blessed to be a homemaker since the boys were born and I want to focus on continuing to make our home a haven for our family and the friends that come into our home. Chad is reading this as, meat and potatoes, dessert, rolls, sweet tea and chocolate dessert every night!! Seriously, as I’m curled up by the warm fire, the cats sleeping and Jack wandering around looking for food, I’m thinking of 2014 and looking forward to tending the home fires with a new focus. This entry was posted in Uncategorized and tagged 2014, home, word of the year by Katey. Bookmark the permalink. What a good word and it will stay with you for more than 2014! I had also chosen a word sometime ago It is, OH! I forgot it. No really it is patience . what a joy to read your blog this morning. 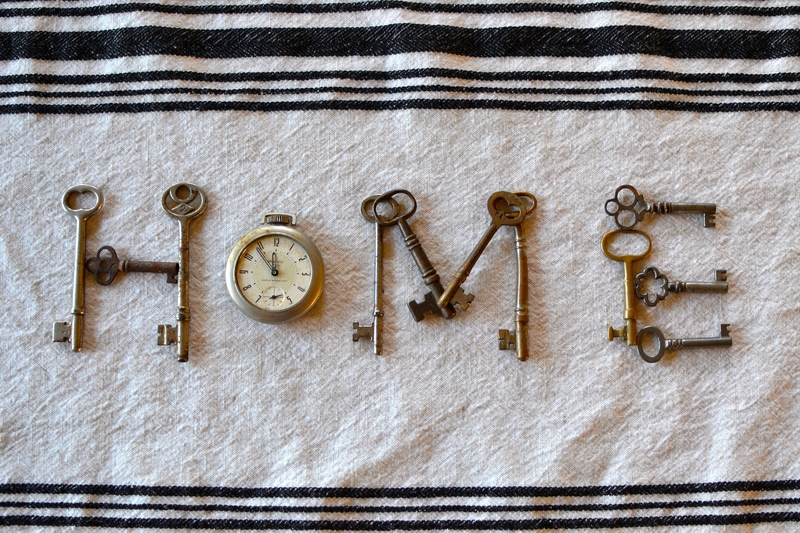 I love that you not only chose the word home as your word, but the house keys and the pocket watch as your items to enhance the word! very clever to spell out the word with these reminders! love it!! and you!! You’ve already told me your secondary word– Thousand……..and that involves me – yea me!!! 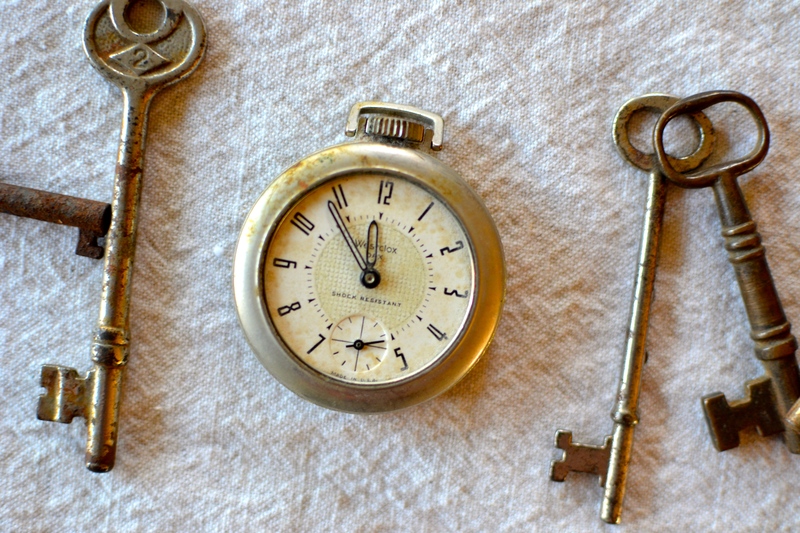 Sweet Katey, such a treat to read your blog today and to see the word HOME. One of my favorite words, I think! Home is my nest, so when I think about an empty nest, that feels sad. But there are two birds still in your nest to stay…you and your husband. You’ll have to do a little adjusting for sure, but I know you’ll find the beauty in it. XO!